HEAVIER LOADS, NO PROBLEM TigerRack is an automated stop for pushing, pulling or positioning of up to 720 pounds. Built metal tough for processing tube, bar stock and heavier materials. TigerRack offers precision, accuracy, and speed for your industrial positioning applications. 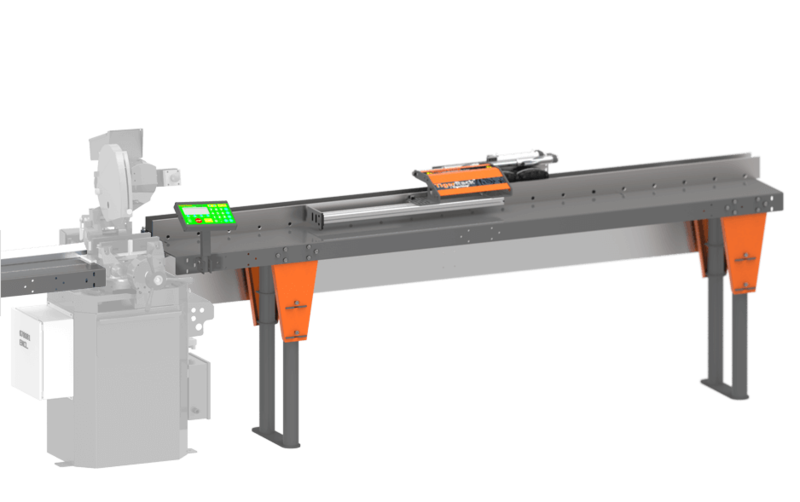 TigerRack’s precision rack and pinion drive system will keep your production humming. Designed for processing tube, bar stock, and heavier materials, TigerRack will push, pull or position material that weighs up to 720lbs. Have a rough application? TigerRack’s brake system helps guarantee that you don’t end up miscutting parts. Start simple and build your TigerStop system as you grow. Add label printing, Dynamic Optimizing, Downloading cut bills, and much more. You can even add a touch screen interface, TigerTouch, for a new level of visibility and productivity. Get just what you need now and then let TigerStop grow with you. At TigerStop, we know that there is no such thing as one solution for every problem. When you need to push, pull, or position material up to 720 lbs., you’re going to need a robust drive system that will perform year after year. That is why we designed TigerRack. TigerRack’s precision rack and pinion drive provides a repeatable accuracy of +/- .008 inches (.2 mm). This reliable drive technology also allows TigerRack to maintain this accuracy for up to 108 feet (32.9 meters). Great for tube, pipe, beams or any heavy material up to 720 lbs. (326 Kg). TigerRack takes fence setup time to 0. The operator just enters a dimension and presses the start button. TigerRack then quickly moves to the dimension with a repeatable accuracy of +/-.008 inch (.2mm). With a manual fence, size is always a guessing game depending on how the operator reads the measuring tape. With TigerRack, the part cut today is the same as the part you cut two weeks from now. 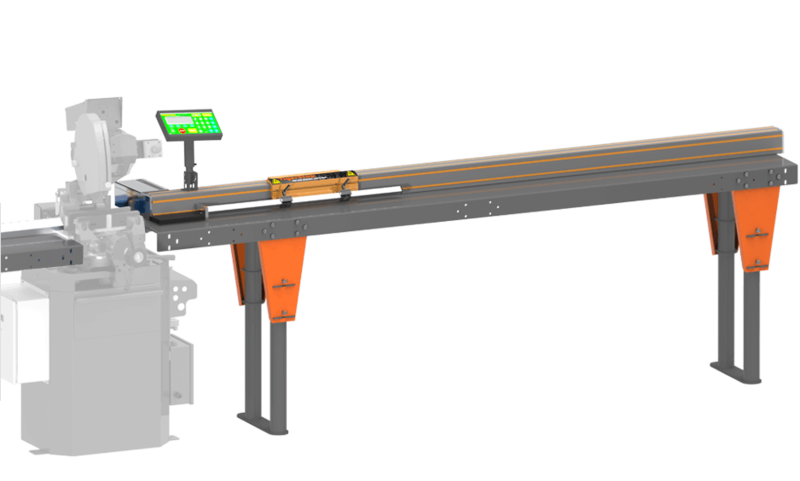 With TigerStop’s powerful automation platform, you can quickly and simply automate your existing equipment,. You decide how far you want to take it. 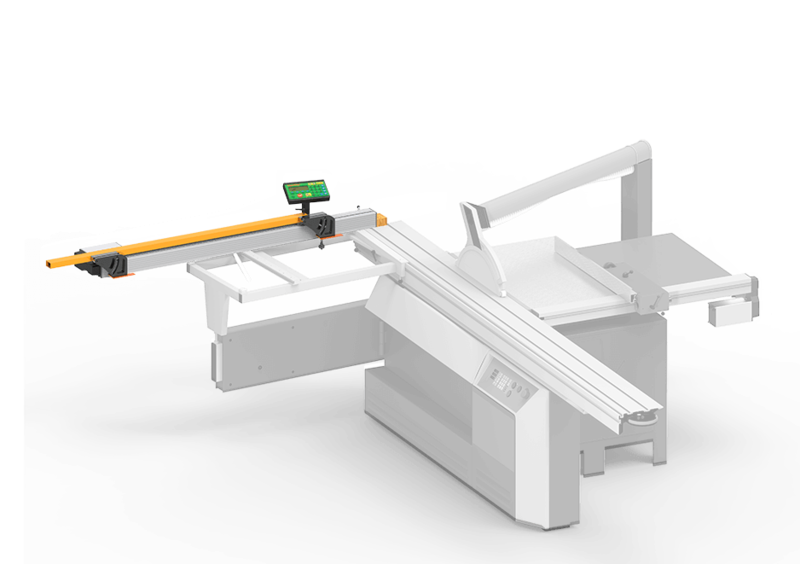 Manual, Semi-automatic or fully automated processing, TigerStop can do it all. You can even interface TigerStop product to your own custom application using our Software Developers Kit (SDK). A byproduct of zero setup time and 100% accuracy is increased productivity. And because TigerRack is easy to use, every operator can cut like your best operator. Now that TigerRack is cutting accurate parts, you don’t have to rework those inaccurate parts anymore. When time is money, we could all use more time. 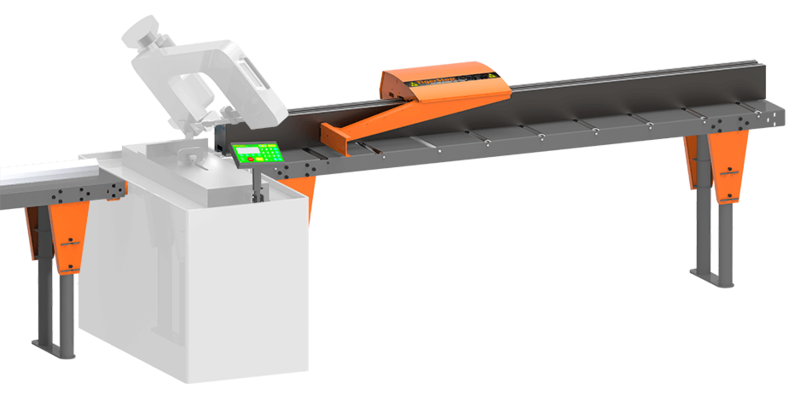 TigerRack can be upgraded to use TigerStops Dynamic Optimization software, which will reorder the cutting list so that the material is used in the most efficient possible way. Many users see yield savings of up to 40%. Not everyone can read a tape measure the way you can. 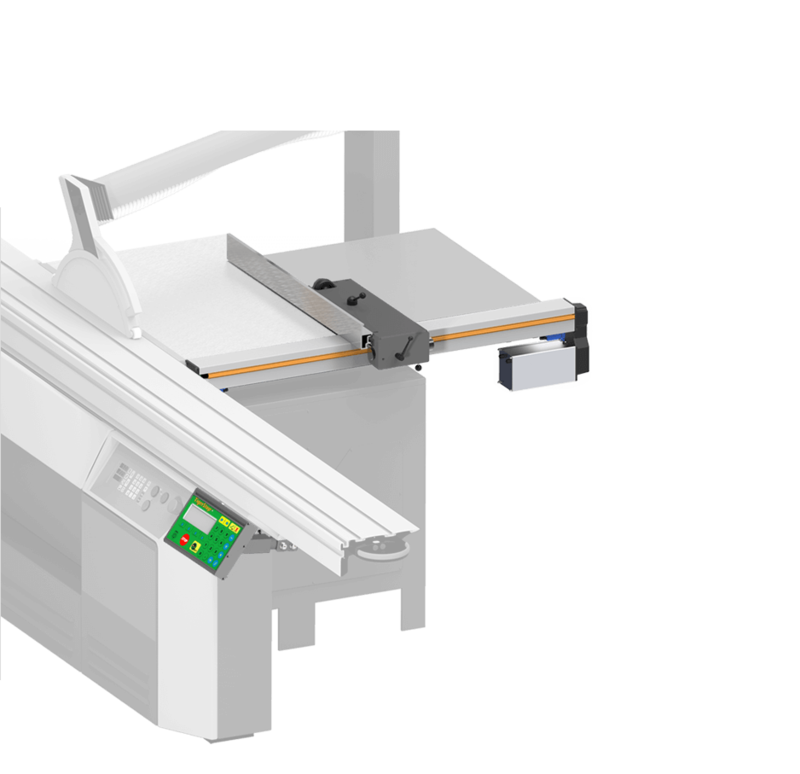 TigerStop’s simple and intuitive controls allow even a novice to cut like a pro in just a matter of hours.